In windows most of us are downloading, deleting and move file from here to there, and after this your windows has so many dump files and the performance is not so good as before. And most of the users don,t know hot to Maintain Windows. So am here posting 6 best tools for Windows Maintenance. nCleaner is a privacy and system cleaner, that enables you to remove computer tracks as well as junk files that can accumulate on your system. The program also includes a startup manager, cookie manager and a selection of Windows tweaks that can further increase system performance. The program’s user interface is easy to use. A simple “Clean now” button, allows you to clean up all the files and registry entries leftover by previously installed software. Freeware application Revo Uninstaller is a combination Windows add/remove replacement, startup manager and hard drive cleaner. With its advanced and fast algorithm, Revo Uninstaller scans before and after you uninstall an application. After the program’s regular uninstaller runs, you can remove additional unnecessary files, folders and registry keys that are usually left over on your computer. Glary Utilities is a collection of system tools and utilities to fix, speed up, maintain and protect your PC. It allows you to clean common system junk files, as well as invalid registry entries and Internet traces(plug-in support for 45+ external programs). If you want to clean and optimize your PC, improves your privacy and security, or do other similar tasks, you’ll want this program. It’s free, it’s simple to use, and it’ll make your computer run much better. 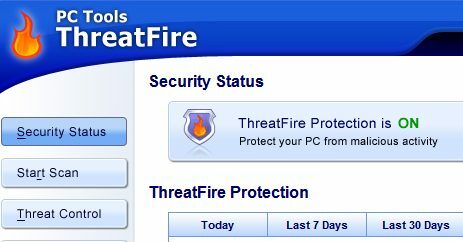 ThreatFire features innovative real-time protection technology that provides powerful standalone protection or the perfect complement to traditional signature-based antivirus programs. ThreatFire’s patent-pending ActiveDefense technology offers protection against both known and unknown viruses, worms, trojans, rootkits, buffer overflows, spyware, adware and other malware. It uses behavioral analysis to hunt down and paralyze threats that are too new or too clever to be recognized by traditional “signature-based” antivirus software. Powerful protection against zero-day and emerging threats. 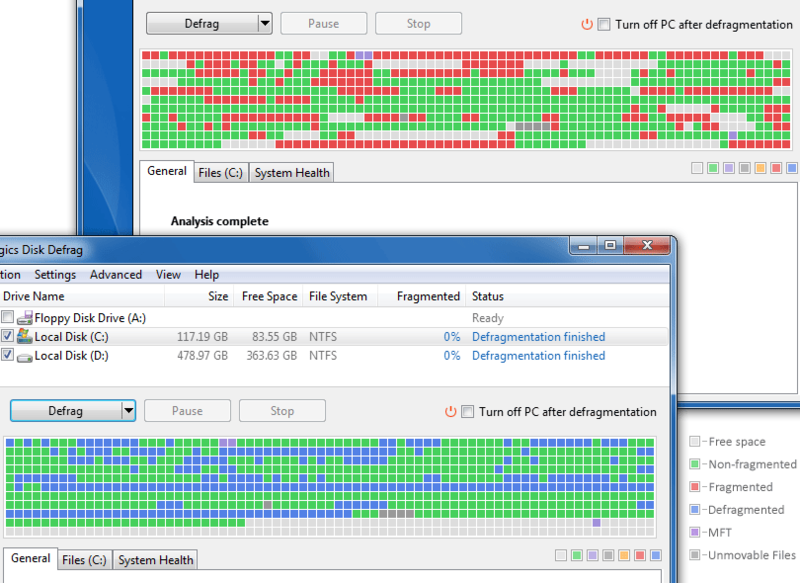 Auslogics Disk Defrag is designed for fast optimization of today’s modern hard disks. Get the maximum performance out of your expensive hardware investments. And it’s absolutely FREE. Driver Scanner is a good choice, it can help you detect and upgrade the driver programs easily. 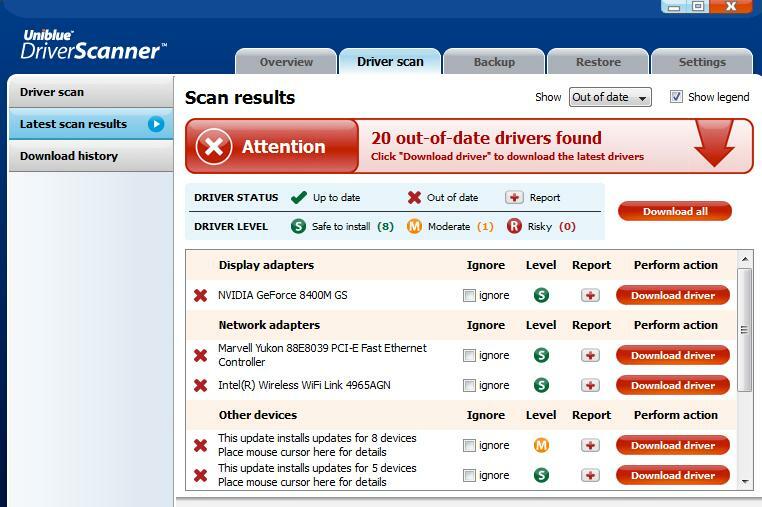 DriverScanner helps you to find the outdated drivers and then give you the tools to update your PC with the latest versions, so improving the performance and stability of your computer and its peripherals. Driver scanner is a very good tool and help us keep our system tool, but Windows Vista has a similar tool that let the user knows when updates are available for hardware drivers. I believe using Windows Vista regular maintenance tools will keep the computer in good standing. 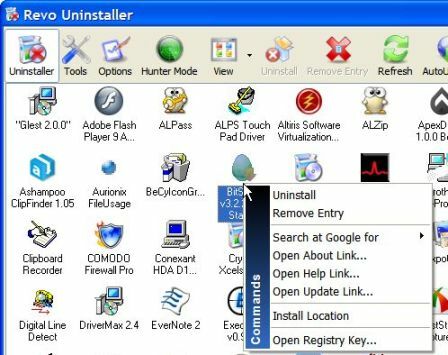 Great post.. revo uninstall is a nice application to uninstall programs and manage startup programs. you would have also mentioned CCleaner in this list.